My goal is to build successful, long-term relationships with my clients through experience, dedication and quality service. Let me help you with your real estate needs with innovative marketing strategies and thoughtful client representation, and give you peace of mind by paying attention to the smallest of details to make sure your transactions are as stress free as possible. For over 39 years I have been a trusted name in local real estate and have provided consistent award winning service and have received hundreds of Top Producer Awards. 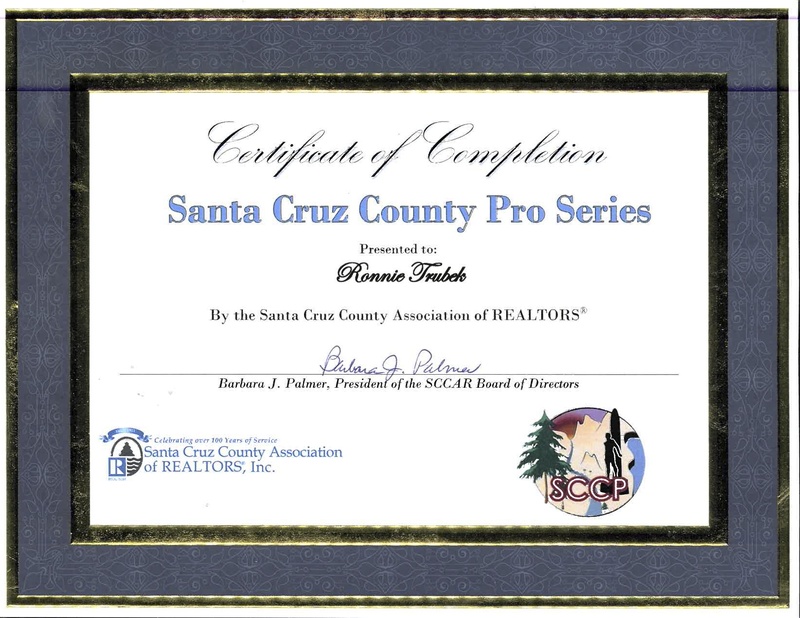 I am skilled in trouble-shooting all aspects of residential sales and an expert in marketing the special and unique properties throughout Santa Cruz County. I utilize state-of-the art tools and participate in ongoing industry leading training to enhance my performance, reduce risk for you, my client, and most of all, deliver customer service and satisfaction that inspires loyalty and referrals. Proven results using an in-depth knowledge of local communities and services – from schools, resources and recreation to the unique and rich history (“Certified Local” by Sandy Lydon) of the region. I am passionate about the history of Santa Cruz and in my spare time you'll find me participating in history classes, lectures and walks around the county or at shows collecting maps, postcards, photos and other ephemera relating to our rich and diverse community! Call me today for straight talk and honest answers to all your real estate questions!